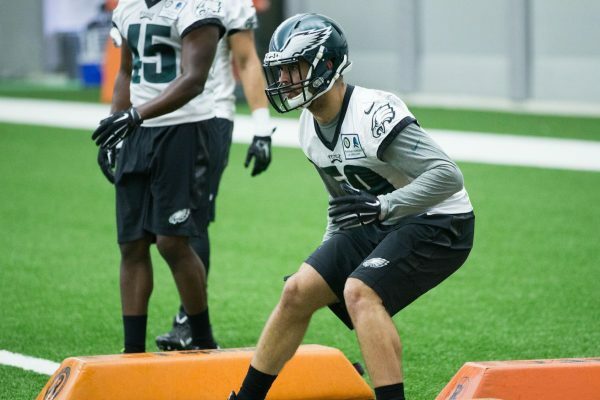 Eagles rookie linebacker Joe Walker will miss the season because of a torn anterior cruciate ligament in his left knee, Les Bowen of the Philadelphia Daily News reports. Walker, a seventh-round pick from Oregon, was attempting to make a tackle during the teams’ 17-0 win over the Steelers Thursday at Heinz Field when he was injured. Philadelphia took Walker in the seventh round of this year’s draft out of Oregon. The Eagles already have issues with depth at the linebacker spot, and losing Walker isn’t going to help matters, meaning you can expect the team to be looking at the waiver wire for a possible replacement. Walker said that he felt a pop in the knee while trying to make a tackle on the final play of the first half, a kickoff that followed a field goal. The Eagles will be back in action at home on Thursday, September 1st at 7pm as they host the New York Jets. There are plenty of Eagles tickets available for the final preseason matchup before the team gets ready to start the season against Cleveland on September 11th at home.